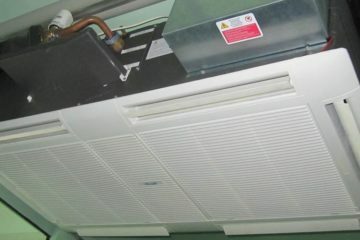 The air conditioning system processes the supply air and distributes it in the connected case. There it cools or heats the built-in equipment. The now thermally-modified exhaust air circulates back to the air conditioner where it is reprocessed. The switching between cooling and heating operation is carried out automatically with temperature control and fixed internally set target / desired temperature for the connected case. In addition to measuring the temperature of incoming and outgoing air, the direct indoor conditions in the AC case, such as the current temperature, mean temperature and air humidity, can also be measured and evaluated. As soon as the interior of a case has to be kept at a desired constant temperature level, regardless of the prevailing outside temperature, the portable AC system with power module from elnic can be used. Portable AC Systems for cases with different height units and our test equipment.